Q. Is the standard recommendation for eight hours of sleep a night still relevant? How much do I need? A. Eight hours of sleep is often described as a "full night's sleep," but the actual amount needed varies from person to person. The amount of time most people sleep ranges from seven to nine hours. However, as you get older, the average amount of sleep decreases to seven to eight hours, with some people getting by with even less. Before you pare down your sleep schedule, you should consider the health effects reported with lower amounts of sleep. Several studies have associated obesity with sleeping fewer than seven hours a night. Poor eating habits late at night may be to blame, and researchers have also detected hormonal changes in poor sleepers that predispose them to weight gain. 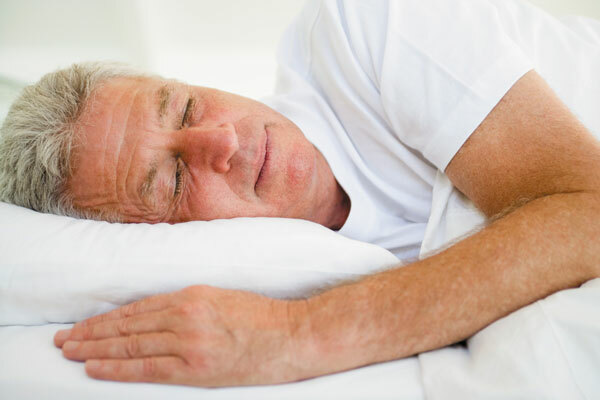 In other studies, men who slept less did not live as long as men with average sleep times. It is difficult to attribute cause and effect for sleep and life expectancy, because many illnesses interfere with adequate sleep. Nevertheless, it appears that sleeping at least seven hours is the healthiest habit. No matter how much you sleep, always make sure you practice good sleep hygiene. Avoid large meals, caffeine, alcohol, and stressful activities right before bedtime. Keep your sleep schedule consistent, even on weekends. And put away the laptop and smartphone at least 30 minutes before hitting the pillow.